The regional environmental group Wild South has a hike planned for July 13 into the heart of, what they hope will soon be, one of the wildest national scenic areas in the country. 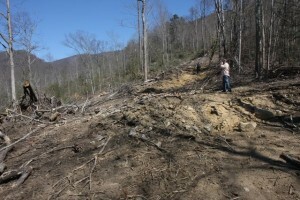 Wild South and its partners and supporters have been marshaling support for the proposed Grandfather National Scenic Area (GNSA) since 2006, when the USDA Forest Service apparently forgot about promises it made to the local community and once again began extensive logging around Globe Mountain in the Pisgah National Forest. Heavy clearcutting in the 1980s generated a huge outpouring of protest, and the Forest Service assured the local community that there would be no more logging in the area. Then in 2006 with little or no public notice, timber contracts were let again on Globe Mountain. 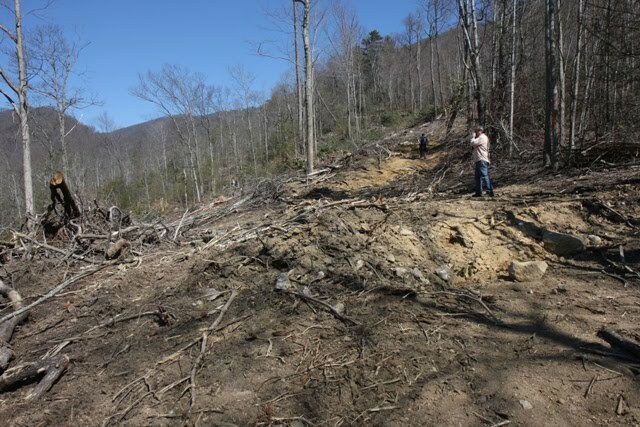 After Wild South alerted local communities to what was happening, Boone City Council, Blowing Rock Town Council and Watauga County Commissioners all passed unanimous resolutions calling for permanent protection of the area. Since then, many local businesses and local and regional environmental organizations have joined forces with Wild South in seeking recognition and designation of the GNSA. Some of those partners include The Blowing Rock Attraction, Mountain Lumber Company, Mast General Store, Patagonia, Southern Environmental Law Center, Murphy’s Restaurant & Pub, Southern Appalachian Forest Coalition, Babbit’s Backcountry Outfitters, Western North Carolina Alliance and others. Southern Environmental Law Center assisted Wild South in drafting language for a bill that would create the GNSA. The area would comprise 25,000 acres at the north end of the Johns River Gorge in the Grandfather Ranger District. Economists have predicted that the creation of the GNSA could create more than 700 new jobs and draw more than 1.5 million visitors annually to the area generating $38.4 dollars for the local economy. The GNSA would also protect some 3,000 acres of old growth forest – some of the last stands on the East Coast – plus protect the integrity of more than a dozen different natural forest communities that spill from the high peaks all the way down to the floor of the Johns River Gorge. Designation as a National Scenic Area would protect the forests from heavy timbering like the last Globe Mountain cut. Wild South in an effort to keep momentum building towards the official designation of the GNSA, will be hosting a number of hikes into the area this summer. The first hike will be this Saturday July 13. It will be a relatively easy and short hike (1.5 miles one way) along Thunderhole Creek to its namesake Thunderhole falls – a 15-foot tiered falls that should be truly thundering in light of all the recent rainfall. Ben Prater, associate executive director of Wild South will be the hike leader and it will be a great chance for interested parties to learn about the GNSA. Wild South has created a “Meetup” group online where you can RSVP and/or find out logistics about the hike at http://www.meetup.com/Grandfather-Scenic-Area-Hikers/ or you can call Wild South at 828.258.2667 for information.